By the mid-1980s, the landscape of the United Kingdom had become synonymous with mass protests and bitterness. On the political front, the Conservative government fought continued battles on numerous fronts: Arthur Scargill and his striking miners, Argentina and the Falklands Islands, and the continued threat of terrorism emanating from Northern Ireland. Prime Minister Margaret Thatcher’s allegiance to privatisation (breaking up the public sector and dismembering unions) had caused outrage amongst the working classes. The Ordinary Joe in the street saw no future prospects. It would get worse before it would get better; the introduction of Poll Tax was just around the corner. On the sporting front, the era was a mixture of outstanding individual and team performances, encapsulated by an underlying current of domestic violence. Within the space of four years, 190 football supporters died at three major stadium disasters. The Heysel Stadium disaster led to a ban on English teams, from European club competition, for the next five years. The cream of British football had always been a target for the wealthier clubs of Italy, Spain and Germany. Funded by conglomerates such as the Fiat-owned Agnelli family at Juventus, newly signed players were richly rewarded. The temptation of financial incentives was an easy selling point, as was the football on offer. Not all exports, however, had been viewed as successful. The traditional Italian defensive system wasn’t conducive to the typical goal poaching ability of a number 9 British centre-forward. Long before the mid ’80s, luminaries such as Denis Law and Jimmy Greaves had quickly returned to the calmness of they’re home environments, both having lasted less than 12 months. It was a trend that would continue. If the goalscoring terrain of English football in the 1960s was dominated by Messrs Law and Greaves, then the 1980s belonged to one man: Ian Rush. His dynamic partnership with Scotland international Kenny Dalglish catapulted Liverpool to the pinnacle of European Football. Having joined in 1980, he quickly established himself as the outstanding target man of his generation. He was blessed with natural speed off the mark and an innate ability to be in the correct place at the correct time. Dalglish’s deep-lying position was the perfect foil for Rush’s natural predatory instincts. Born 20 miles from Liverpool, it was the city he would repay with 346 goals, until his eventual departure in 1996. In the aftermath of the European club ban, much media coverage had been devoted as to which of the more admired First Division players, would be targeted by Latin clubs. Having already seen Gary Lineker and Mark Hughes snapped up by Barcelona, Juventus president Giampiero Boniperti made his bid for Rush. Aware of Liverpool’s decreased revenue following the ban, the president remained optimistic of a deal bring reached. After much consternation Liverpool chairman, Sir John Smith finally relented and accepted a £3.2 million offer for the services of Rush. The deal, however, would reach a snag. Italy at the time was controlled by a restriction on being permitted only two foreign players in a starting XI. Boniperti had recently recalled Danish superstar Michael Laudrup from a 12 month loan spell at Lazio and had intended to use him in an attacking spearhead with Michel Platini. It had been the intention for Platini to retire in the summer of ‘86, yet due to inside pressure this was delayed for a further 12 months. Rush faced a predicament. Leaving Liverpool for a suggested 12 month loan at Lazio was dismissed out of hand. Eventually, with Boniperti’s blessing, it was agreed he would remain at Liverpool for a further 12 months. 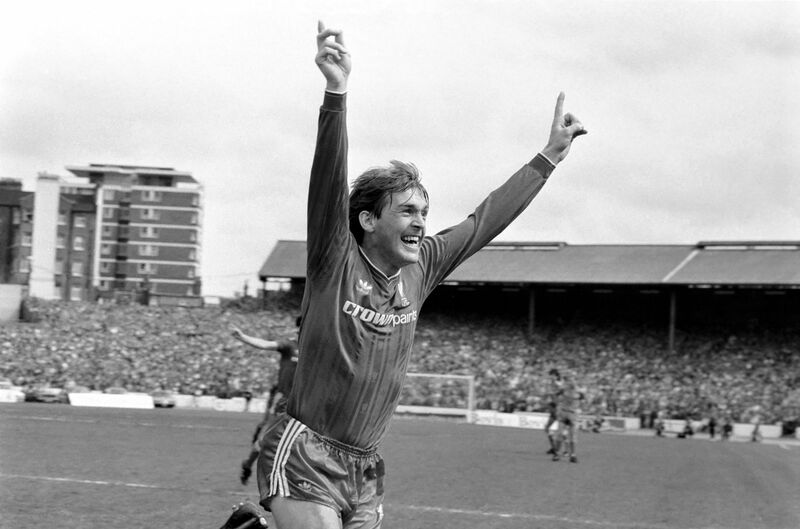 Coinciding with Dalglish cutting back on playing duties, a largely disappointing season – trophy wise, anyway – would ensue, however Rush’s individual goal tally continued to grow. A side note from the season would occur during defeat to a Charlie Nicholas-inspired Arsenal in the League Cup final. Liverpool’s 145 game record of never been beaten when Rush scored came to end that afternoon at Wembley. After a more than promising return in pre season of 10 goals in six games, Rush endured a disastrous start to the new league campaign. His debut in an Italian Cup match against Lecce saw him pull up with a thigh muscle injury. He was ruled out for five weeks. Beset by homesickness and a failure to quickly learn the language, Rush was isolated by his teammates. All was not well on the pitch as the rebuilt Bianconeri struggled under manager Rino Marchesi, whom Rush admitted was too easy going for the role. On his return to the side, Rush managed only 13 touches of the ball in a 1-0 defeat to Empoli, a game played in 30 degree heat. Two weeks later, however, he was off the mark, notching two goals in a 3-1 home win against Pescara. Devoid of a Dalglish or Platini style number 10, Rush struggled to adapt to the more defensive role outlined by Marchesi. Requested to track back into midfield when required was an alien concept to the striker. His reputation had been forged on capitalising on defensive mistakes and playing on the shoulder of the last defender. Italian formations were simply not suited to this. Other exports in this era, Trevor Francis and Luther Blissett, suffered a similar experience. Life off the pitch was proving to be as difficult, as on it. Openly admitting to struggling with adapting to his new surroundings, Michael Laudrup became a close companion, merely down to the fact that both spoke English. Training schedules differed vastly from those at Liverpool. The comfy surroundings of Melwood and the importance placed on five-a-sides, differed greatly from that at Juve. Meticulous detail went into the time spend on sprinting and long distance running exercises. Back on the pitch, early elimination in the UEFA Cup courtesy of Panathinaikos, added to the pressure on Marchesi. At the season’s end, Juventus had suffered their worst campaign since 1956-57. Finishing the league in sixth position and reaching the last 32 of the Italian Cup failed to save Marchesi’s job. He was duly replaced by club legend Dino Zoff. Rush’s statistic’s when reviewed make for a reasonable first season in Italian football. A total of 14 goals in all competitions, including seven in 29 Serie A games, may not seem worthy of a mention, however when compared with other star performers, it looks quite respectable. Diego Maradona, at the time the world’s best player, topped the Serie A goalscoring charts with 14 league goals. Marco van Basten, newly signed by AC Milan, had a return of eight league goals. 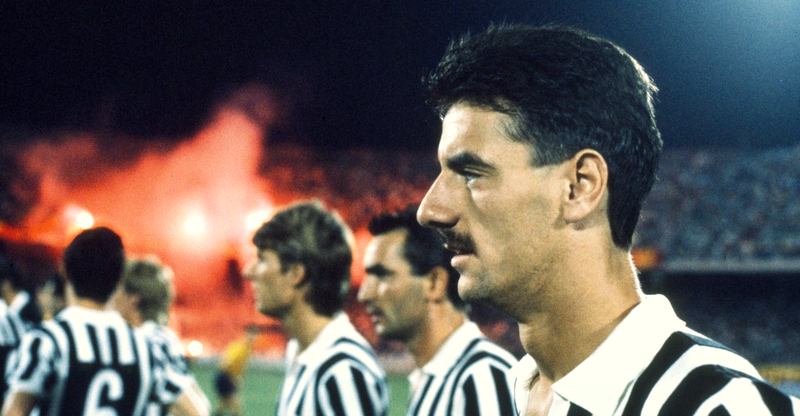 As the summer of 1988 passed on, Rush had integrated himself into the Juventus way of playing. Under new coach Zoff, pre season training differed. A more hands-on approach ensued with the new coach constantly working on team shape and each segment of the team also had separate coaches. Behind the scenes though, changes were afoot. The Agnelli family had sanctioned a rebuilding of the side. With the foreigner rule expanded to three, the arrival of Rui Barros and Alexander Zavarov spelled trouble for Rush. The player himself was resigned to battling for his position; however a certain chief executive lying on a sun bed in Spain had other ideas. Peter Robinson, whilst reading a local paper announcing the arrival in Turin of Barros and Zavarov, quickly computed that four into three wouldn’t go. Aware that his former striker had experienced difficulties in acclimatising to Italian culture, he quickly contacted Dalglish to sound out the possibility of a return. The wheels were quickly put in motion. Juventus had already, behind the player’s back, sounded out Bayern Munich as a possible destination. Within 24 hours of the initial phone call from Liverpool, a deal had been put in place and a transfer fee agreed between both clubs. On August 18, 1988, two days before the start of the new First Division campaign, a hastily arranged press conference was organised at Anfield. In the pre-internet, pre-social media days, word quickly spread around Merseyside that a deal to sign Gary Pallister from Middlesbrough had been agreed. Alan Hansen would be unavailable for the foreseeable future and a replacement was needed. To the shock and amazement of the gathered press, the sight of a tanned Ian Rush paraded before them had come out of left field. It was announced that Rush was to return home with a £2.8 million transfer fee signed off. Liverpool fans rejoiced. Supporters minds quickly turned to the thought of an attacking trio of Rush, John Aldridge and Peter Beardsley rampaging through opposition defences. Many would argue that his second spell did not reach the electrifying heights of his first in a Liverpool shirt, and they would be correct. However there were many mitigating circumstances. A club in transition, a failure to adequately replace ageing players over a gradual period of time and the emergence of Manchester United as a genuine rival all contributed. As for his Italian adventure, Rush certainly developed into a more rounded player. Many years later Rush was lampooned in the media for a phrase attributed to him at the time describing his period in Italy, “It was like living in a foreign country”. The player himself denies uttering the comment and put it down to a throw away phrase from Dalglish, upon his return. His reason for returning? “Because Liverpool wanted me back, I wouldn’t have returned for any other club.” They were mightily glad to have him back too.